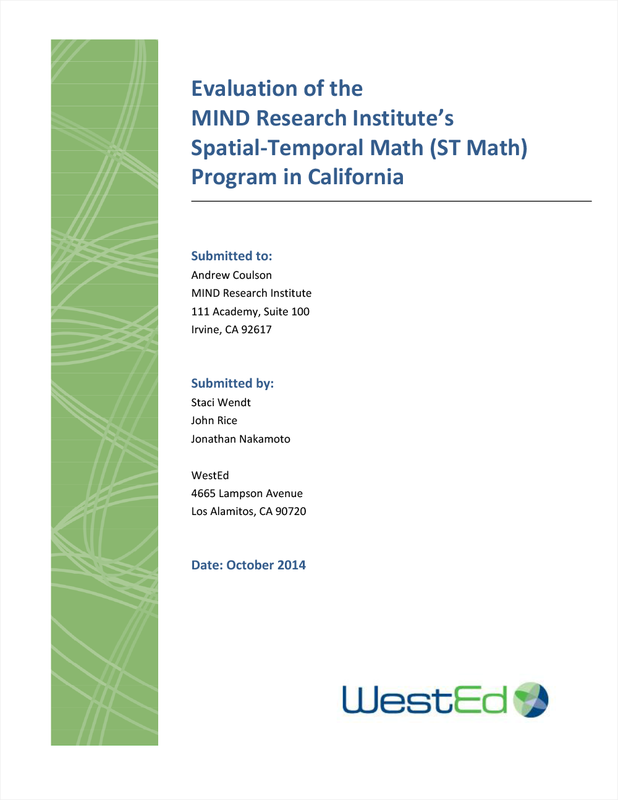 Spatial-Temporal Math (ST Math) is game-based, instructional software for K–12 students created by the MIND Research Institute (MIND). ST Math is integrated into classroom instruction, but can also be used in a computer lab or at home. The ST Math software games begin without language and symbol abstractions by posing math programs as purely visual puzzles. Interactive animated visual manipulatives provide informative feedback to student solutions. 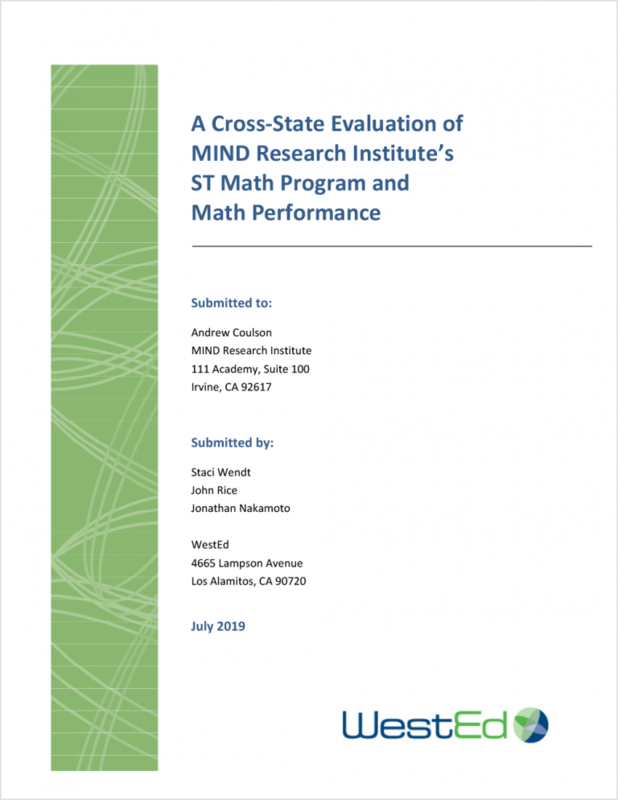 This report presents the findings from an assessment of mathematics outcomes in elementary schools across multiple states that were provided with the ST Math program. Data from 474 treatment schools in 16 states that included grade levels 3 through 5 were used in the evaluation. 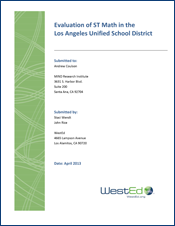 Of these 474 schools, 392 provided data for grade level 3, 366 provided data for grade level 4, and 374 provided data for grade level 5. The study found statistically significant differences between the ST-Math group and the matched-comparison group on the percentage of students scoring at or above proficient on the state standardized mathematics assessment. The strength of the effect was equivalent to 0.17 of a standard deviation. For schools where the ST Math program was implemented with fidelity in at least one grade level there was a difference between the treatment and comparison group on the percentage of students scoring at or above proficient on the state standardized mathematics assessment. The difference was statistically significant with an effect equivalent to 0.36 of a standard deviation.